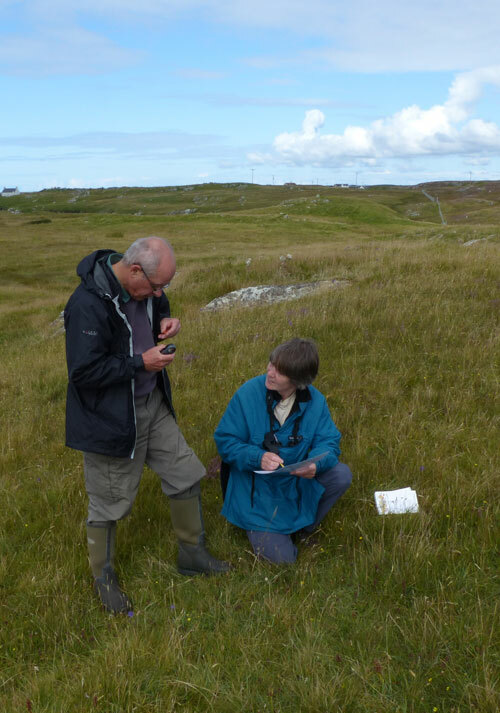 Our current knowledge of the diversity of fungi found in the Outer Hebrides (Watsonian Vice-County 110) is the work of visiting professional and amateur mycologists. Our knowledge of the diversity of fungal species and their distribution in the archipelago is still very patchy and we are still adding new species to the systematic list for the islands, particularly micro-fungi. The information currently available tends to reflect the interests of visiting mycologists and the sites they have visited rather than the status of the various groups of fungi within the islands. Distribution maps based on records from various sources, including Outer Hebrides Biological Recording, are available on the NBN Atlas Scotland, however the information is incomplete and the data should be interpreted with care. Records of fungi observed in the islands should be forwarded to Outer Hebrides Biological Recording. Full details are available on the OHBR website. Records of fungi submitted to OHBR are made publicly available via the National Biodiversity Network Atlas Scotland.